Gabriel Chakarji is a young pianist who is deeply passionate and committed to the music. 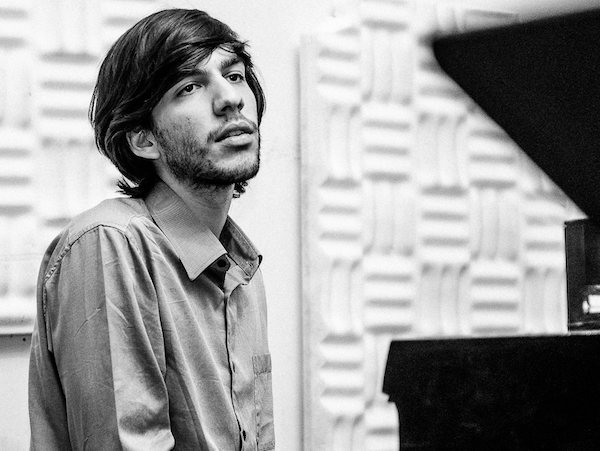 Originally from Caracas Venezuela, Gabriel began studying classical piano at the age of nine. After high school, he studied composition at Ars Nova School of music. In his teens Gabriel took part of the Simon Bolívar Big Band where he was exposed to the jazz repertoire, touring with this orchestra to New York and Boston in 2011. His experience, versatility, and passion made him one of the most sought after pianists in his country, playing gigs and recording with many different artists that pushed him to master different genres of music including Venezuelan music, Latin American music and Jazz. This combination of influences became his own personality; his compositions and his playing fuse all these rhythms, harmonies, and cultures. His participation in the Album “Tiempo” of Linda Briceño earned him a nomination for the Latin Grammy Awards in 2013 for the best traditional pop album. Recently he moved to New York with a scholarship to study at the New School for Jazz and Contemporary Music. Performances at the United Nations Headquarters and in the summer stage of Union Square and St. Mary’s Park with his own band. Besides from his personal project, he is featured as sidemen with numerous artists such as Luisito Quintero, Linda Briceño, Jhon Benitez, Barbara Rodriguez, Ali Bello and much more. Touring internationally in Bahrain, Peru, Mexico and Puerto Rico. Guataca Nights / Gabriel Chakarji Trio at Terraza 7 on Wednesday, November 30th, 2016 at 9:30pm. No Replies to "Guataca Nights / Gabriel Chakarji Trio"